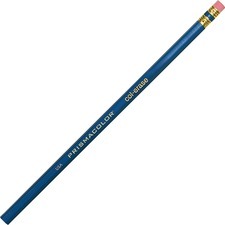 Prismacolor Col-Erase Pencils - Lead Color: Blue - Barrel Color: Blue - 12 / Dozen - Welcome to TABS! Colored pencils feature a special lead formula that erases effortlessly. Rendered lines erase clean with few strokes of the eraser. Ideal for illustration, animation and accounting applications. PMA certified nontoxic, strong, thin lead resists breakage. Pencil design also includes a metal ferrule with twin band and red eraser. Colored pencils feature a special lead formula that erases effortlessly. Rendered lines erase clean with few strokes of the eraser. Ideal for illustration, animation and accounting applications. PMA certified nontoxic, strong, thin lead resists breakage. Pencil design also includes a metal ferrule with twin band and red eraser.